These days, it seems “do more with less” has become the exhibit marketer’s mantra. Given the economic upheaval of the last two years, most exhibit-marketing budgets have shrunk more than a wool sweater dried on the heavy-duty cycle. What’s more, mergers, acquisitions, and bankruptcies pepper almost every market imaginable, challenging exhibit managers to keep pace with the ever-changing face of their companies, its products and services, and the competition, all despite their dwindling marketing dollars. While trimming the fat from a pudgy program is fairly easy, cutting back on an already lean program is tough work. And that job becomes even harder if the heart and soul of your exhibit-marketing program, i.e., your booth, needs a major overhaul. In today’s economy, where every penny is scrutinized more than a “Project Runway” design, buying a new booth may not even be an option for many exhibit marketers — at least not in the near future. But what if your exhibit is on its last legs, and your program is down to its last dime? Or what if you’re suddenly asked to change messaging or implement a new product focus? 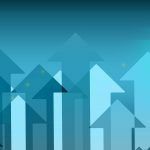 If your booth isn’t meeting your marketing objectives, it’s likely detracting from them, and as an exhibit manager, it’s your job to find some way to make it work. After all, you can’t present a fresh face for your company when your booth and its messaging have been slapped around by the harsh hands of time. exhibit-refurbishment options, including everything from refinishing worn booth elements to reconfiguring your components, that can help you make the most of your marketing budget and lengthen your exhibit’s lifespan. And refurbishment is typically a Greener — not to mention far less expensive — option than discarding your existing booth and starting from scratch. Neither management nor Mother Nature can argue with that. for touchups, and what pieces might you add to update the look and feel of your exhibit space? EXHIBITOR asked eight industry pros these very questions. Weighing in with been-there, survived-that advice, our expert sources provided the following suggestions to help breathe new life into an ailing exhibit. Their innovative ideas prove that even when times are tight, a little fix here and a bit of renovation there is all you need to put a fresh face on your company’s booth space. and laminated components have held up well, the aluminum was looking dinged, dirty, and dingy when First Insight brought it in for refurbishment in late 2009. Brad Hogan, president of Hillsboro, OR-based Pinnacle Exhibits, used a similar strategy for Sony Computer Entertainment America Inc. But instead of re-anodizing the aluminum, Pinnacle chose to powder coat it instead. Likewise, in 2005, Sony created more than 200 aluminum gaming kiosks for its PlayStation booth, Hogan says. Originally, they were powder coated using a grey hue, which fit the company’s color scheme at the time. But for the 2009 Electronic Entertainment Expo, Sony wanted to update the kiosks’ colors to match the company’s latest branding. It hoped to create black kiosks for the PlayStation 3 products and white ones for its PlayStation Portable products. So Pinnacle re-powder coated the existing structures in the new hues, a strategy that was roughly 75-percent cheaper than rebuilding the more than 200 kiosks it needed. While re-anodizing and powder coating are two distinctly different processes, they’re both highly cost-effective methods to bring practically any aluminum or metal surface back from the brink of death. 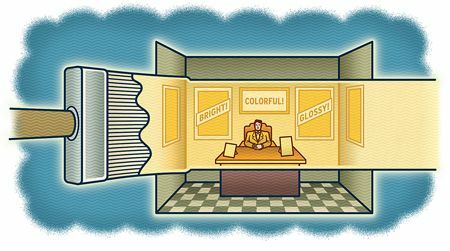 If you work for a company that is on the cutting edge, but your booth’s aesthetic screams “dial-up connection,” one of the best ways to freshen it up is to update the exhibit’s color scheme. Consider integrating some contemporary colors — perhaps new fabric graphics, exhibit panels, booth furniture, or even inventive flooring — that compliment your existing corporate color palette. While re-laminating exhibit surfaces is certainly a refurbishment option, it has the potential to be a tedious and rather expensive process. “If you have laminate-covered elements, stripping the laminate and sanding and then re-laminating the existing surface often costs an arm and a leg in both labor and material charges,” says Mark Bendickson, principal and designer at Exhibitdesign, a Maple Grove, MN, exhibit-design firm. You can also use hook-and-loop fasteners or adhesive-backed graphics to cover unsightly surfaces, Bendickson suggests; however, these options probably aren’t as versatile or easy to apply as magnetic-backed graphics. Also keep in mind that “graphics” can be anything from bold, full-color images and oversized text to panels bearing nothing but a single unobtrusive hue. Another option for covering unsightly materials is to encase the entire element in stretch fabric. “We repurposed our 2008 booth for 2009 by simply covering the signs mounted to our kiosks with fabric ‘pillow cases,’” Parsons says. “Rather than replacing the signs in the exhibit, we placed giant stretch-fabric ‘slipcovers’ over them to hide the outdated images and messages.” While Nomadic opted to print new images and text on the “slipcovers,” single-color fabric can be used to cover outdated elements that serve a strictly structural purpose — as opposed to those used for messaging — such as freestanding backdrops or privacy screens. If your booth needs a Hummer-size overhaul but your budget looks more like a Mini Cooper, then focus your refurbishment efforts on the areas of your exhibit that receive the most traffic (reception desks, product displays, presentation theaters, etc.) or those frequented by VIP attendees (meeting and conference rooms, hospitality bars, etc.). changes its basic exhibit structure, which features clean, simple lines and a neutral color palette. But the company continually releases new products, so it regularly updates and refurbishes its product displays — by repositioning the displays within the exhibit, updating their graphics, and generally keeping their aesthetics current. By maintaining a tight, fresh focus on its products, Acumed maintains an updated look for the entire booth design. Another angle on this concept is what Hogan calls a “constant state of refurb.” “Some clients’ exhibits are an ongoing blend of old and new components,” Hogan says. “Rather than building an entirely new booth, they’re constantly buying a new part here, refurbishing an old part there, and retiring pieces as needed.” So each year, at least some part of the “old” exhibit is replaced or refurbished, which eliminates the capital expense for a whole new booth. Plus, a constantly evolving exhibit always has a new or resurfaced component or two, which makes the entire design feel fresh and new. “When it’s time to invest in new exhibit graphics — whether they’re worn out or simply outdated in terms of branding and messaging — consider replacing them with flatscreen panels,” says Alicia Rosen, vice president of sales and marketing at Elements Exhibits LLC in North Las Vegas, NV. While it may seem counterintuitive to replace existing graphics panels with comparatively expensive flatscreen monitors, doing so could save you a bundle in long-term graphics-production costs — and add a high-tech edge to your space. “With digital graphics, you don’t need to actually reproduce materials over and over to stay up to date with your messaging,” Rosen says. “Rather, you merely need to create new content and load it onto the monitor. While you’ll pay around $750 for 42-inch monitors, you can recoup these costs over a couple of years by not having to constantly reproduce graphics.” What’s more, adding a touch of technology to an aging structure can help bring it up to speed with newer, more high-tech exhibit properties. If you don’t have the dough to spend on large-screen monitors, even adding digital-photo-frame-size monitors (or actual digital photo frames) to your display can ratchet up your high-tech appeal. For example, instead of using printed product-ID cards to label its displays, Sharp Electronics Corp. uses some of its mini monitors instead. Loaded with product info, the monitors are uber easy to update as product inventory changes, and they’re perfectly in synch with Sharp’s high-definition image. “Sometimes you can liven up an outdated exhibit space by adding a few rental components — perhaps to replace worn custom elements, or to add a splash of color or style to freshen things up,” says Mary Levi, senior design consultant/principal at Ion Exhibits in Itasca, IL. According to Levi, some simple rental items that can really do a lot for an outdated booth are hanging signs (which make the most of your vertical space), desks, colorful carpet, raised flooring, etc. Plus, Castrigno adds, tensioned-fabric rental items are surprisingly affordable. 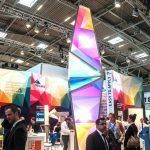 For example, a 4-by-10-foot Pyramid structure from Moss Inc., which can be accented with color-changing gel lights, costs about $1,200 to rent for a three-day show. Purchasing a custom graphic for this structure will run you another $2,600 approximately, and those gel lights might add a few more dollars. “But all in all, adding tension-fabric structures is an affordable way to update a booth, especially when you compare it to the cost of an entirely new exhibit,” Castrigno says. According to several sources, the road to refurbishment is often paved with other outdated exhibits. They suggest that you begin any exhibit-refurbishment project by examining your existing inventory. Granted, their advice doesn’t apply if you only have one exhibit that’s used for every single show you attend. But if you have multiple exhibits and/or some unused parts and pieces sitting in storage, analyze your stash to see if any elements can be repurposed. “Often, you can repurpose existing properties for a fraction of what it costs to buy a new booth,” Parsons says. For example, you can integrate your portable back-wall display with other elements to create a fresh 10-by-10-foot or larger exhibit. “Your existing inventory of exhibit systems can be a cost-conscious solution to your problem — and a treasure chest of elements to upgrade or expand your presence,” Parsons says. You don’t need to buy — or even rent — new elements to create a new look. Consider merely rearranging your exhibit elements instead. Obviously, reconfiguring a modular exhibit is basically a no brainer, as the ability to switch around parts and pieces is a key selling point of these systems. But according to Levi, reconfiguring is a viable refurbishment option for custom exhibits as well. So before you throw your booth out with the bath water or throw your hands up in budget-induced despair, consider refurbishing your existing structure. A few smart, simple changes — including everything from reconfiguring exhibit elements to peppering your booth space with fresh accents and refinished surfaces — can quickly and affordably turn a stale exhibit into a breath of fresh air.